ItVoice | Online IT Magazine India » “Placing data at the center of business strategy is very important as the competition gets smarter”-Mr. Neel Juriasingani, CEO and Co-Founder of Datacultr. 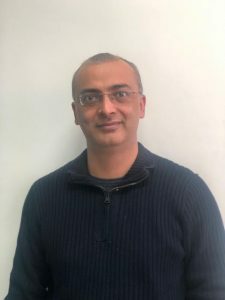 April 26, 2019 10:45 pm You are here:Home Interview“Placing data at the center of business strategy is very important as the competition gets smarter”-Mr. Neel Juriasingani, CEO and Co-Founder of Datacultr. “Placing data at the center of business strategy is very important as the competition gets smarter”-Mr. Neel Juriasingani, CEO and Co-Founder of Datacultr. Mr. Neel Juriasinga, CEO and Co-Founder of Datacultr. Mr. Neel Juriasingani:-In 2018, we collaborated with one of the largest Telcos in India for a POC to release their Digital Home Solution which will be out soon. In 2019, we are majorly focusing on Fintech, Agriculture and Digital Home Solutions. Currently, Datacultr is working on building strategic channel partners not just in India, but also in global markets like Africa, Europe, Australia and US. Nisha Harshwal:-Could you also mention some of your clients and the industries you are currently catering to? Mr. Neel Juriasingani:-Datacultr is focusing on Consumer lending companies, Smartphone manufacturers, Telecom operators and Agritech. Our partners include a top telecom operator in India, top Global smartphone manufacturer, and a few more Indian & Chinese handset manufacturers. Mr. Neel Juriasingani:-Placing data at the center of business strategy is very important as the competition gets smarter. We, at Datacultr, are focusing on creating a data stream network that helps enterprises, connect & manage their devices that brings out valuable insights from streaming data, turning Big Data into Smart Data. Datacultr enables enterprises to create smarter solutions, launch new products, drive brand and business efficiencies. Nisha Harshwal:-How ‘Datacultr’ is bringing value to its clients? Mr. Neel Juriasingani:-As most industries are adapting to digital transformation to improve their bottom line and deliver benefits for the consumer, Fintech, Agriculture and Digital Home Solution providers are set to reap maximum benefits with the use of IoT in days to come. Also, we see System Integrators and strategic consulting companies as our audience. Datacultr supports open IoT protocols and Flexible micro service architecture for our clients. We put the best of our proficiency in making the IoT journey simpler, faster and value driven for our clients. Nisha Harshwal:-How Datacultr’s platform is different from its competitors? Mr. Neel Juriasingani:-Datacultr’s Data Stream Platform enables enterprises to go to market 6X faster than existing cloud based solutions which allows Datacultr to stand distinct in the market. Based on flexible micro services architecture, Datacultr easily adapts to almost any need and application. It scales from the requirements of a tiny start-up to a massive corporation and supports advanced deployment models for multi-cloud deployments, and is both hardware and cloud agnostic. Datacultr enables enterprises both in the emerging & developed world, to take mission critical IOT solutions and POCs, to market quickly and securely, without requirement of any custom coding.